The attention to detail is amazing, so is the rose. Very, very nice. Well I'll be darned Rita, isn't this the prettiest thing I've evah seen. I'm totally in love with your take on the MMSC this week. Where does one begin: The beautiful rose image, details and the awesome sentiments. WOO HOO, you did GOOD!! WOW! Rita, this is just breathtaking!! Love the richness of this card, and every detail you added! 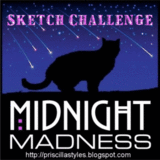 Thanks so much for playing in the Midnight Madness Sketch Challenge!! Hugs! Rita, what an beautiful card! That rose image is divine! Wow! What a great take on the sketch challenge. 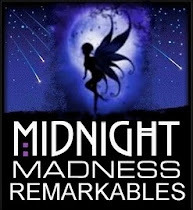 Thanks so much for playing along with us at Midnight Madness this week! Rita this is just stunning, your colors and papers and image are just gorgeous together. I love the richness and dark, warm colors of this card! The roseimage is amazing! So very pretty and the colorings are gorgeous! Ohhh, I love this. 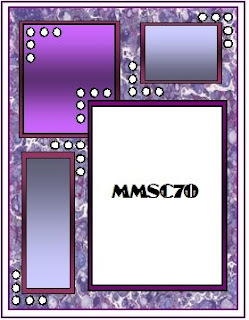 What a wonderful interpretation of he MMSC sketch! Rita, your card is so beautiful in the rich dark colors. Love the rose image and the detail you put into it! The words on the outside are a lovely touch and the pretty ribbon and flower detail finish it off just beautifully. Stunning creation! Thanks so much for playing along with us this week.